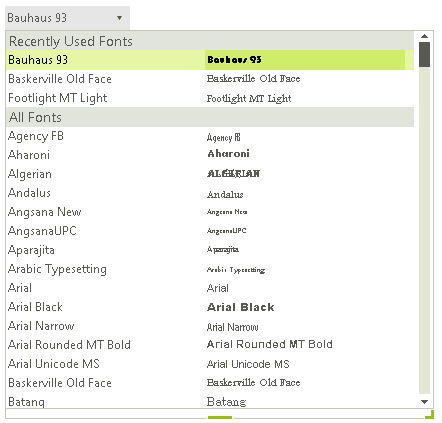 RadFontDropDownList represents a drop down list with built-in fonts that are installed on the system. Once you drag and drop the control onto the form, it is populated with all fonts installed on the machine and it is not necessary to do it programmatically. RadFontDropDownList displays recently used fonts along with a full list of all fonts.